Sumi-e on a rice paper, mounted. The original painting is in private collection in Tokyo, Japan. This is nice. Very much like watercolor. Artist Reply: Thank you! Rice paper gives a resemblense to a watercolor painting when a very wet brush is used. 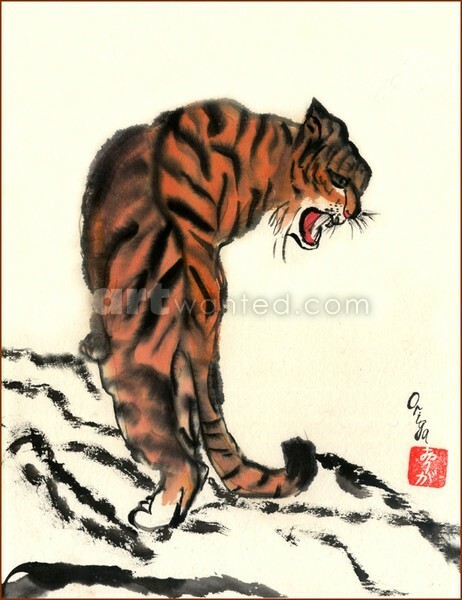 I did a tiger in the Chinese brushstroke method,this is very nice. Artist Reply: Thank you, Ruth!